Really, this story should start with the energy audit. 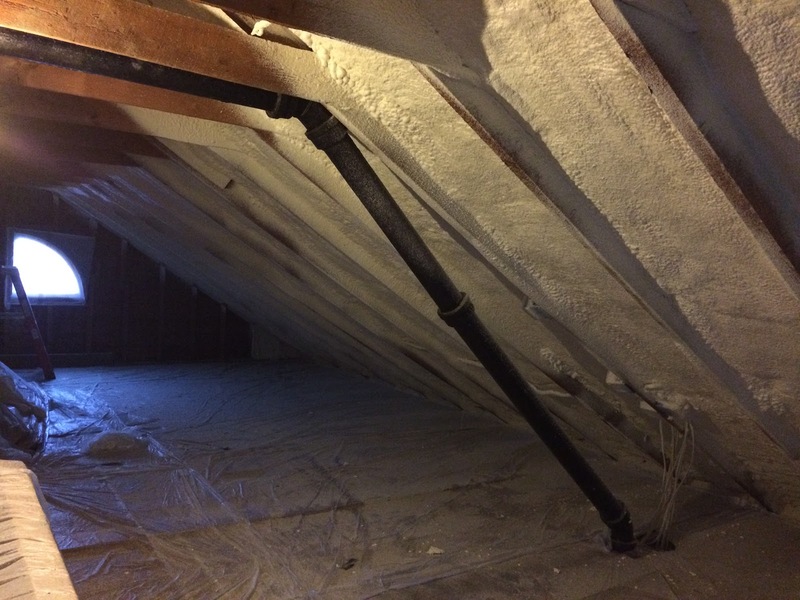 Vermont is Very Serious about energy efficiency, green building, etc., and there is a statewide agency called Efficiency Vermont that sponsors rebates, tax breaks, and all sorts of programs to promote energy savings. 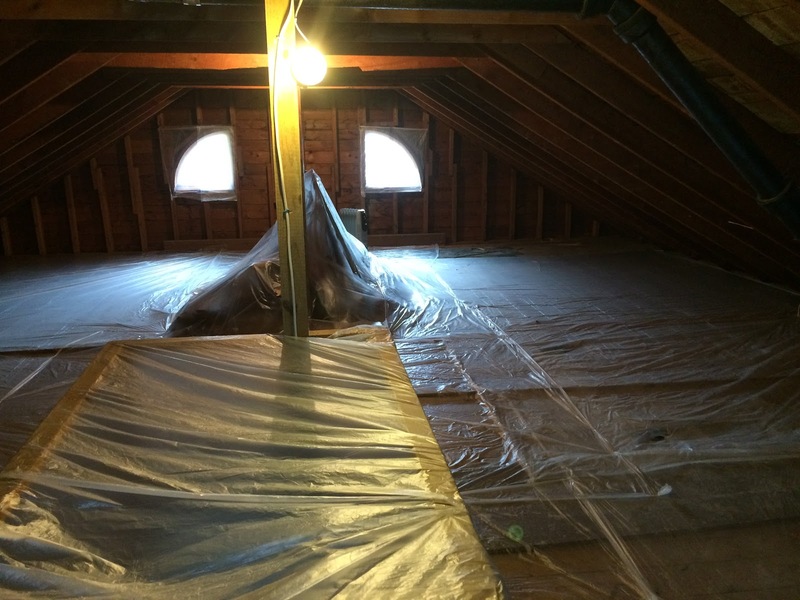 So, soon after we bought our house, in May, we scheduled an energy audit. Which was…by turns interesting and depressing. We learned that our house leaks air like a sieve and has no insulation. None. ZERO. 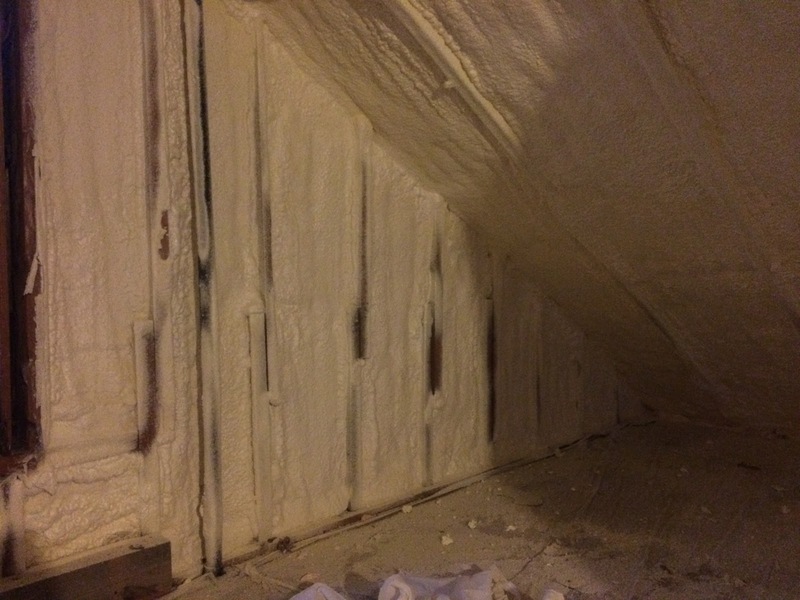 When they did thermal readings of our walls, the studs showed up as “insulating.” We had a hunch that was the case but did not know for sure. 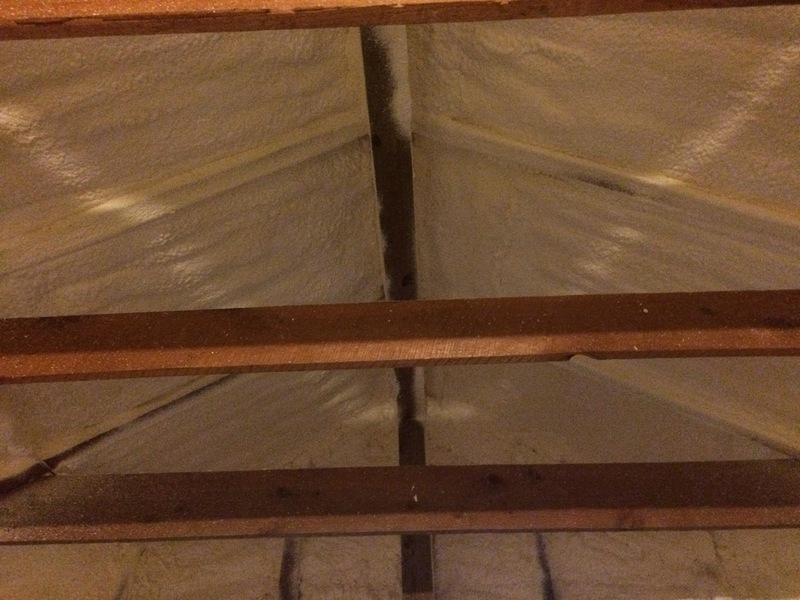 The company we worked with to do the energy audit had a series of proposals to address all of the energy concerns which totaled $35,000 in costs. Yep. 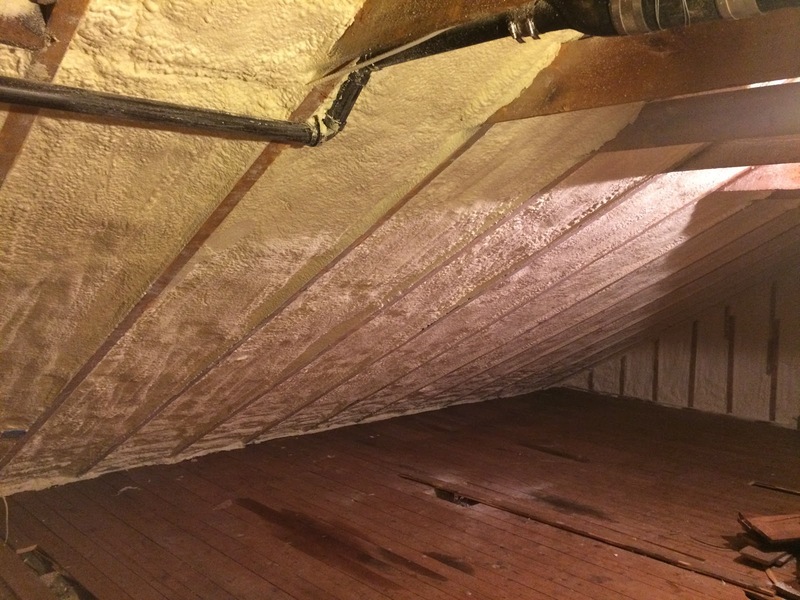 They also recommended basically rendering our walk-up attic unusable by blowing in cellulose to a remarkable depth in order to insulate it. 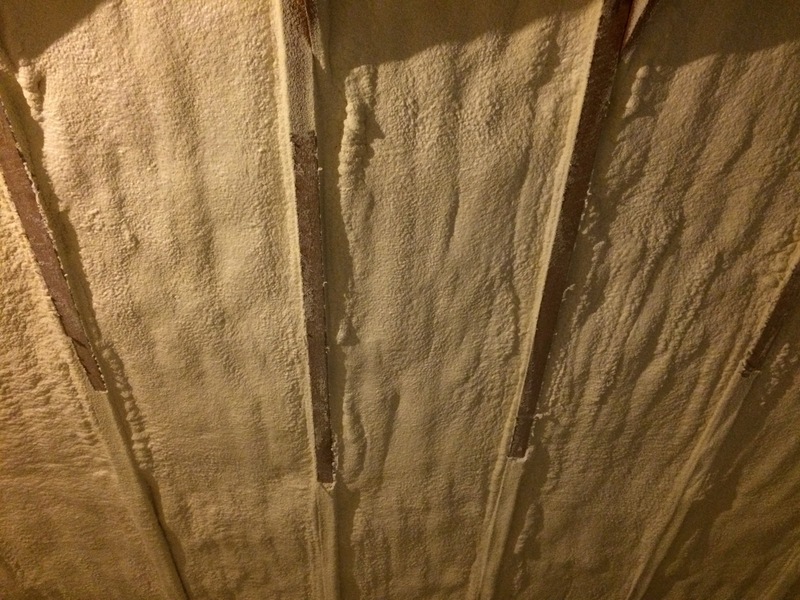 We were very firmly against that, and back and forth and back and forth to get a workable plan finally landed us with the outline of tearing up the attic floor, then spray foaming, then adding 2″ of rigid foam above that, then putting down a new attic floor. Which would be a PITA, but would satisfy state requirements for energy renovations (which require fire safety + certain R-values depending on where the project is in the house). 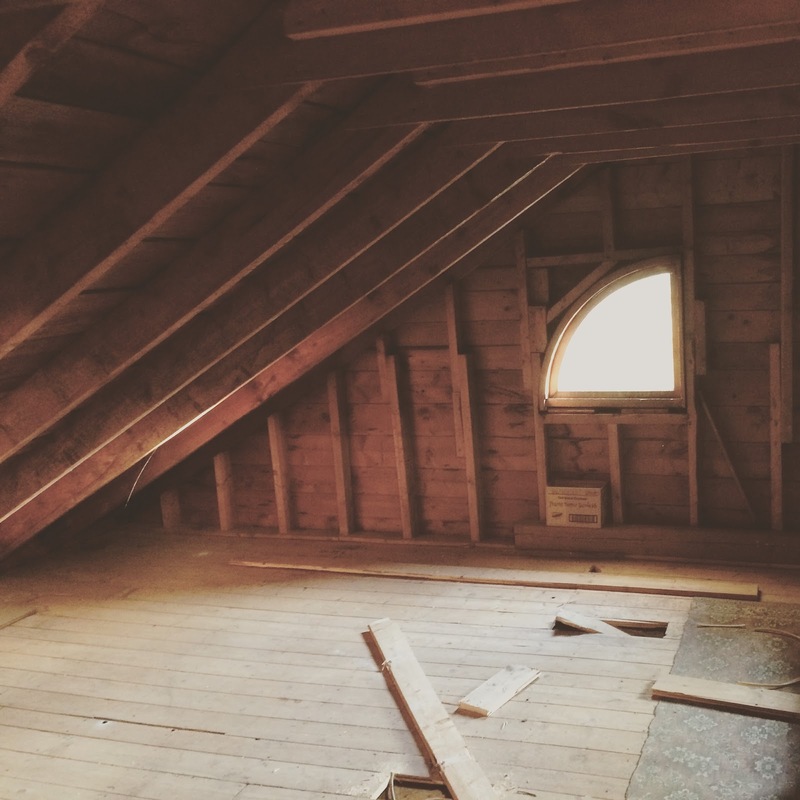 Then when we did the electrical we discovered how unbelievably difficult the attic floor is to pull up, and we started thinking that if we insulated at the floor, we would basically discount the idea of ever finishing the attic. Which was not in our plans, but we felt was an important part of the resale value. 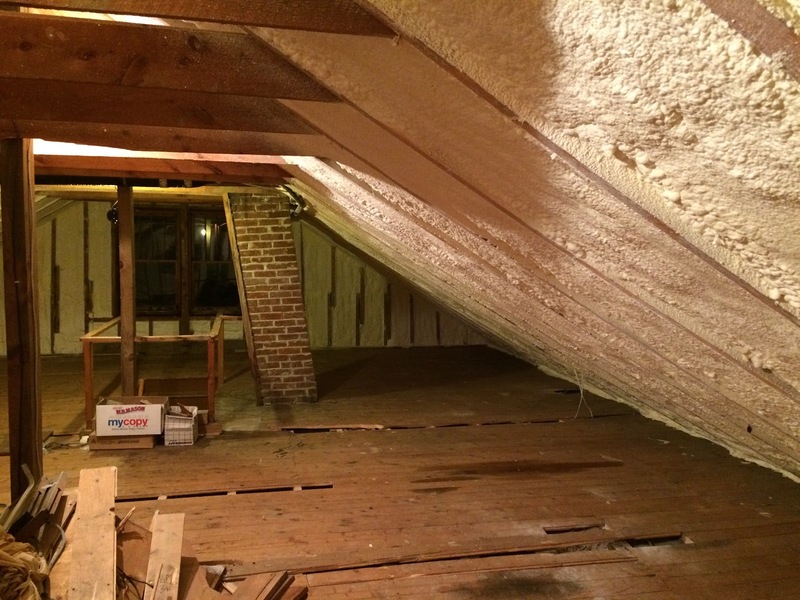 I started shopping around for a different contractor to insulate the roofdeck, aka the attic ceiling and walls. I was primarily looking for more creative flexibility and a better price. I found both and in August, we scheduled the work to start October 5. At 10pm on October 4, I got an email saying they were delayed and would not be there that day, maybe the next day? Then they weren’t there. Then the next day, and the next, and then I had to go out of town and wouldn’t be there to get the dog to daycare & lock up the cat & let the contractors in, and then there were more delays. Most of them without any advance warning: so I’d take the dog to daycare and wait, and wait, and wait. Progressively getting more pissed off. Then, the owner of the company showed up, after I had left a work meeting to wait for him for 2 hours, and told me that we needed to do more prep work. I had specifically asked him about whether these pieces of wood needed to be removed three weeks previously, and he had dodged the question. 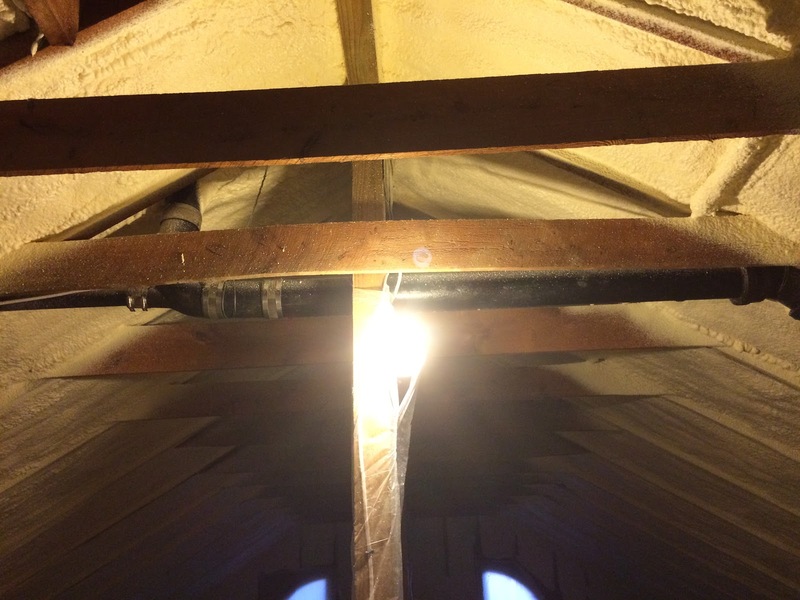 So here he was, telling me unless these wooden soffit blocks were removed they would not start the next day. I was at the height of my recent plague, possibly feverish, definitely miserable, but I went out, bought a sawsall, and removed every last damn one in a very long two hour project. The next day, they started. They got two and a half days of work in, and then did not show up the fourth day. I called. They said oh, we’ll be there at 10 am. I went to work. I left work. I waited. I called. They said oh, we’re not coming today, can we come tomorrow, Saturday? We were expecting 10 people for the weekend, but I wanted the work to keep going. So I said yes and we danced around it and it sucked, especially the last hour when everyone had to stay in our living room to be out of the way of the contractor, especially the dogs, who I did not want snuffling or tracking around the 8 million teensy pieces of foam flecks that get everywhere during the process. 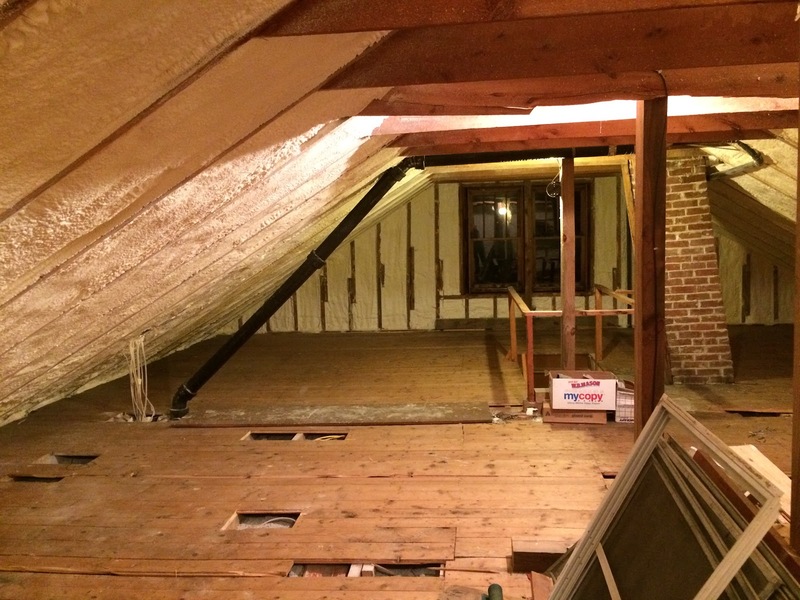 Then Monday, they were supposed to come by to finish, cutting the foam away from the joists of the attic. They showed up at 1:50 pm and thank God finished that day. I sent an email to Efficiency Vermont as well as the company listing my grievances and their bullshitting ways, got a sleazy and only vaguely apologetic response from the owner of the company. In particular, I pointed out that we had spent over $100 sending the dog to daycare on days when they had not shown up, and they had failed repeatedly to communicate in a professional fashion. I’m still trying for some overall reduction on the bill, because they were a freaking nightmare to work with. I really, really regret not going with the original company who did the audit; they may have been a little pedantic but they were highly communicative and professional throughout. Live and learn, I guess. 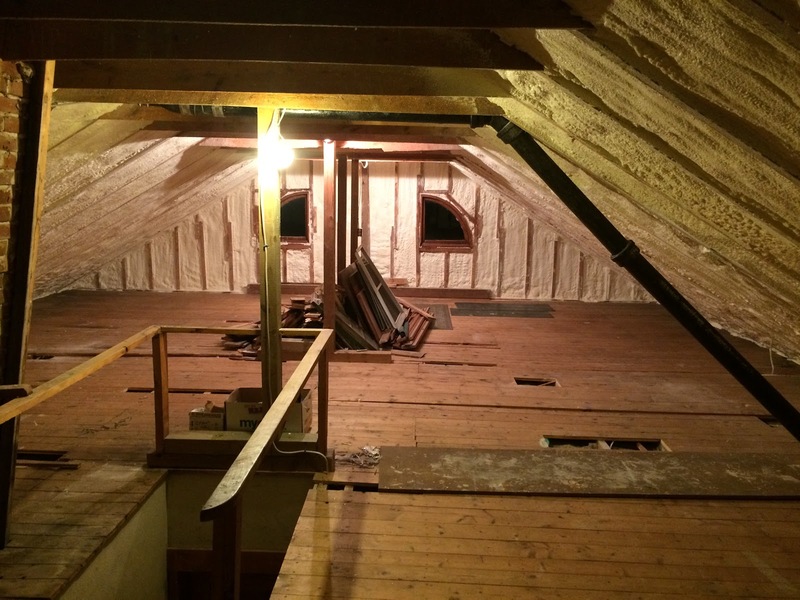 So, now we have an insulated attic. 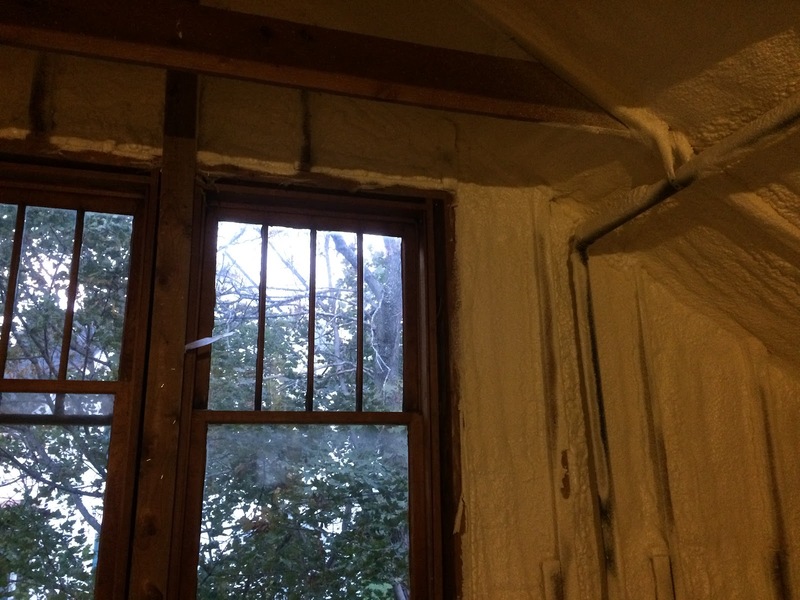 Part One of the project is done; part two will happen soon-ish, in which we need to put 5/8″ sheetrock over the exposed insulation and tape and mud the seams in order to seal off the insulation as a possible fire hazard. I’m working on finding someone to do that right now. Originally we were going to do it, but I am 110% done, so, hiring someone. All that feels like a very short way to sum up what has been the most frustrating and most expensive project we’ve done on the house to date. 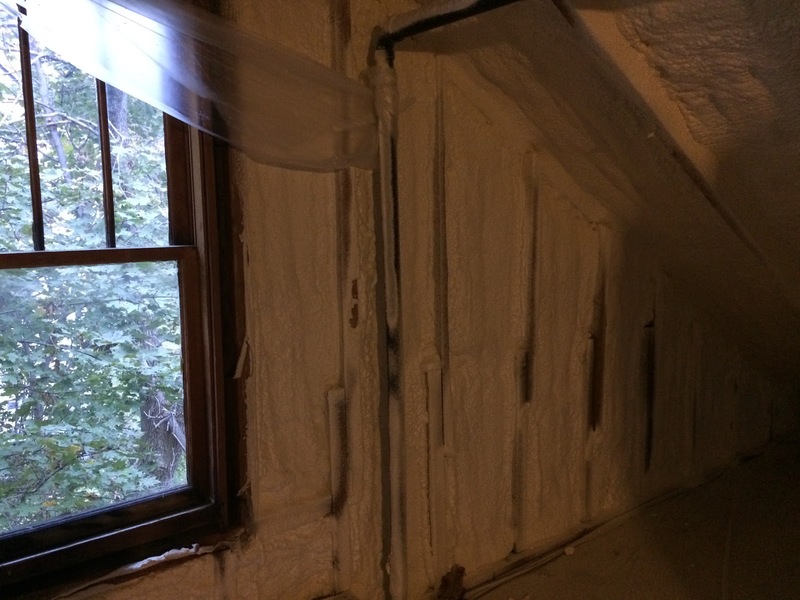 That said – I’m really glad we did it, and the house is holding heat noticeably better now. I have become an obsessive checker of our Nest thermostat via my phone, and there is a clear and easily noticeable difference of several degrees in how the house heats up and then how slowly that heat fades. 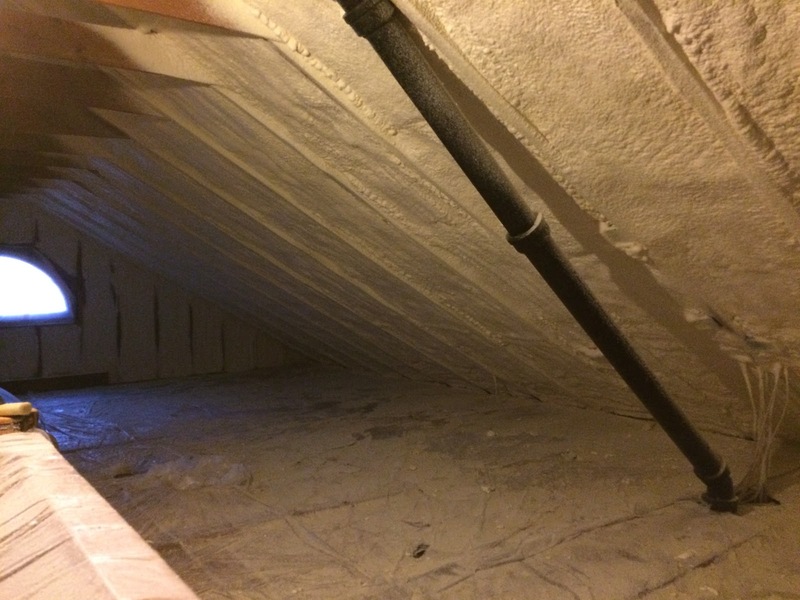 wow that's intense, but at least you still get your attic and the heat works better! I have zero patience for projects being done by contractors! Lucky for me, my husband does most everything that needs done and he is a worker 🙂 Glad your insulation project is completed! 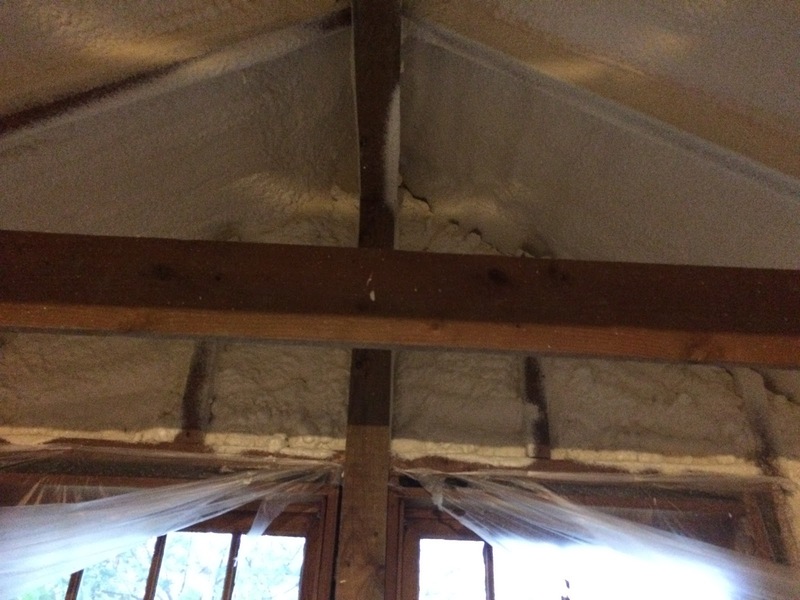 The insulation made a difference in our old house – even though we already had some blow-in stuff down on the floor/ceiling, we added that same foam-on stuff to the rafters and it seems to have helped, both keep warm in winter and cooler in summer.